From Cowes Beach to Arthurs Seat – the race is on! Aussie star Richie Porte says he believes the wind could be a factor in deciding the winner of tomorrow’s first stage of the Jayco Herald Sun Tour. “Tomorrow around the Moto GP circuit, or the racing circuit could be interesting if the wind is like this”, said the Trek-Segafredo rider. 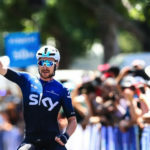 But Porte believes the overall winner of the 66th edition of the Jayco Herald Sun Tour will be decided on the hills of Arthur’s Seat during the Arthurs Seat Eagle stage 4. 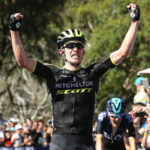 Mitchelton-SCOTT rider, and 2017 Jayco Herald Sun Tour winner Damien Howson, is excited to be back at the Jayco Herald Sun Tour and his team will push Porte and Trek-Segafredo all the way. In the Lexus of Blackburn Women’s Herald Sun Tour, Aussie cycling star Chloe Hosking says she can’t wait for stage one at the Phillip Island Moto GP track tomorrow. 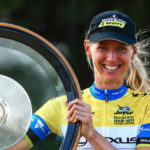 The reigning Commonwealth Games Road Race Gold Medallist says the Lexus of Blackburn Women’s Herald Sun Tour is the perfect preparation for her European season. “I can feel my form growing and growing and growing so I’m really looking forward to having a good hit out at Phillip Island which is really suited to me”, said the 2018 Commonwealth Games champion. Both Hosking and Mitchelton-SCOTT’s Gracie Elvin, believe the new women’s format has something for everyone. “It’s really cool they’ve changed it from last year, it’s really good to keep mixing it up and keep things interesting for us especially for some of us who race so much for so long, it’s good to have different races to do each year,” said Elvin. Both Tours get underway Wednesday at Phillip Island with the Women starting at 10am and the Men riding off at 1.30pm – both will complete 22 laps of the famous GP track. 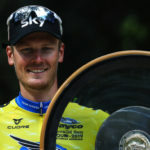 2019 Jayco Herald Sun Tour. All rights reserved.